Innovate Salon Academy coming soon to the Ewing Area! Pennmark Management Co. is pleased to announce that Innovate Salon Academy has signed a 10 year lease and will soon be opening their 2nd New Jersey location in Suburban Square Shopping Center, Ewing, NJ. Occupying 14,005 SF of second floor space at 25 Scotch Road, Trenton, NJ., Innovate Salon Academy and owners. Sean Sickles, John Sickles and Donna Hernandez, state that Innovate is a quickly growing leader in the New Jersey beauty industry for today’s top salons, spas, and barber shops. They strive to produce elite graduates ready to ignite the industry and elevate the profession through successful careers. By developing their students with great technical ability, they graduate with business marketing training, and handling skills that are in high demand by top salons and spas. 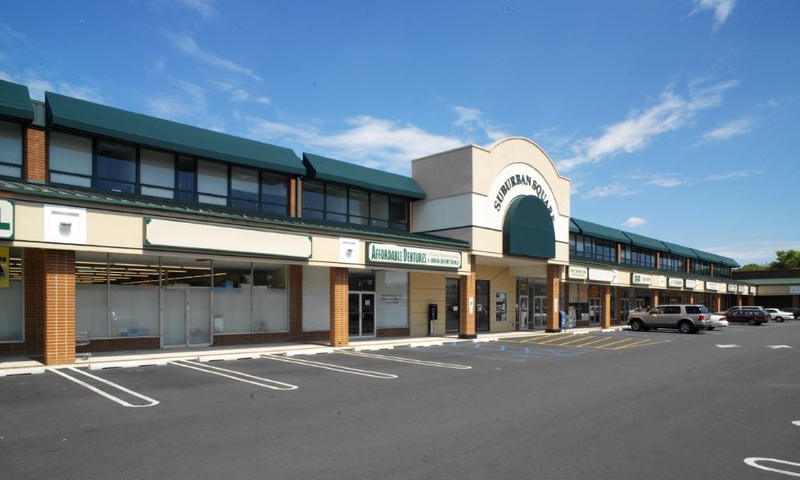 Located in Ewing Township, Mercer County, NJ, and a mile from I-95, Suburban Square Shopping Center is an easily accessible 110,000 + SF neighborhood center. Strategically located at the intersection of Scotch Road and Parkway Avenue, high traffic counts are in excess of 20,000 VPD. With an overabundance of parking and on-site maintenance, the available in-line, large box, and pad retail space, makes for a highly desirable location for any tenant. The customizable retail space available for lease ranges from 2,100 -21,660 SF. An additional 14,000 SF (divisible) of second floor office space is also available for immediate occupancy. Current retail tenants include CVS Pharmacy, Five Guys Burgers & Fries, Italian People’s Bakery, Villa Rosa Italian Restaurant, Captain Dry Clean, LA Perfection Nails and Dollar General. Suburban Square sits directly across from the former General Motors site, which has recently been pre-approved, to be developed into the new Parkway Town Center, a mixed-use concept consisting of 1,184 residential units, ground floor retail space, and an addition 14,375 sf of office space. This will increase the already rising population, current counts exceeding 260,000 within 5 miles. Pennmark is a full-service Commercial Real Estate Development and Management Company with a portfolio of approximately two million square feet of retail, office and flex space located throughout Pennsylvania, New Jersey and Ohio. Pennmark, a rapidly growing company, possesses the in-house capabilities to handle every phase of development. Please visit www.pennmarkproperties.com to learn more about this and other opportunities throughout PA, NJ & OH.